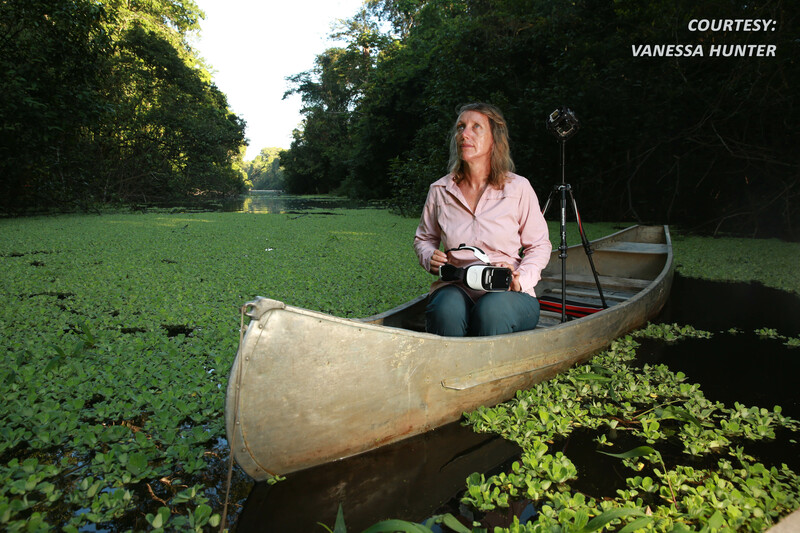 You’ve heard of immersive virtual reality being used for things like video games and movies, but conservation? Researchers led by the ARC Centre of Excellence for Mathematical and Statistical Frontiers (ACEMS) are giving teethto this new technology to track and, hopefully, save jaguars in the Amazon. The teeth they’re adding are mathematics and statistics to fill in huge gaps in data about the number of jaguars in Peru, as well as the conditions they live in. Researchers from ACEMS, the Queensland University of Technology (QUT), and the Lupunaluz Foundation recently completed a four-week expedition to some of Peru’s deepest jungle regions. But they did more than just travel to the Amazon. They brought it back with them for others to see, in the form of immersive virtual environments. They captured countless photos and videos using 360-degree and 3D cameras, which gave them plenty of material to create the virtual environments. Now, they can tap into a wealth of information by putting international experts on jaguars and the Amazon rainforest into those virtual environments, without those experts having to travel to Peru. ACEMS Deputy Director Kerrie Mengersen, a professor of statistics at QUT, helped lead the Peru expedition. In addition to capturing the virtual environments, one of the main goals of the trip was to map jaguar populations in Peru. But how do you count an animal that does not want to be seen, let alone be counted? That is where the maths and stats comes in. To fill in those data gaps, the ACEMS researchers spent a lot of time talking with people who live in the area. They were then able to use that information in their statistical models. “We went to individual villages and sat down with people and asked them for their stories about jaguar sightings, whether they have heard jaguar calls or seen jaguar footprints,” says Dr Erin Peterson, a Principal Research Fellow with ACEMS and QUT’s Institute of Future Environments (IFE). 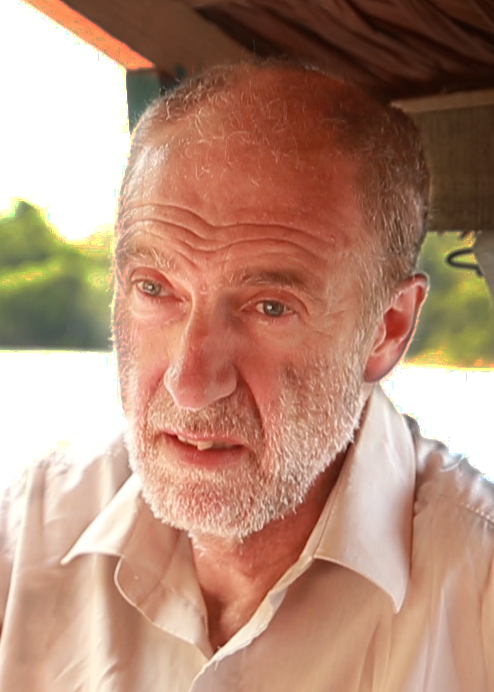 For Professor Burrage, it has been a life-long dream to be able to travel to the Amazon. He says their statistical and mathematical models show that one factor is really starting to play a major role in the jaguars’ survival. 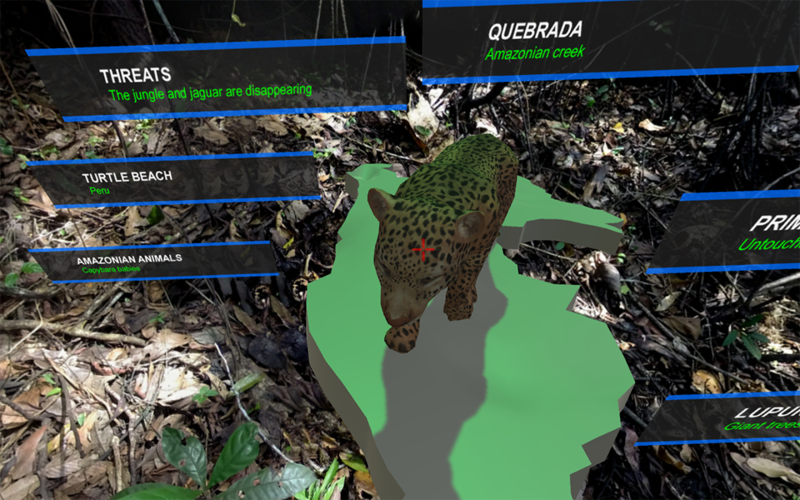 As for the immersive virtual technology, the team hopes it will raise interest outside of scientific communities about the plight of the jaguar. Associate Professor Tomasz Bednarz is a Principal Research Fellow with ACEMS and IFE. Together with other QUT colleagues, he organised all the camera technology for the team that travelled to Peru. He also prepared extensive instructions to be sure that everyone knew how to not only use the equipment, but keep it charged and running in a jungle environment where there were no power points. In the end, though, it all comes back to saving the jaguar population in Peru, and not in just the areas where the research team was able to travel to this time around. 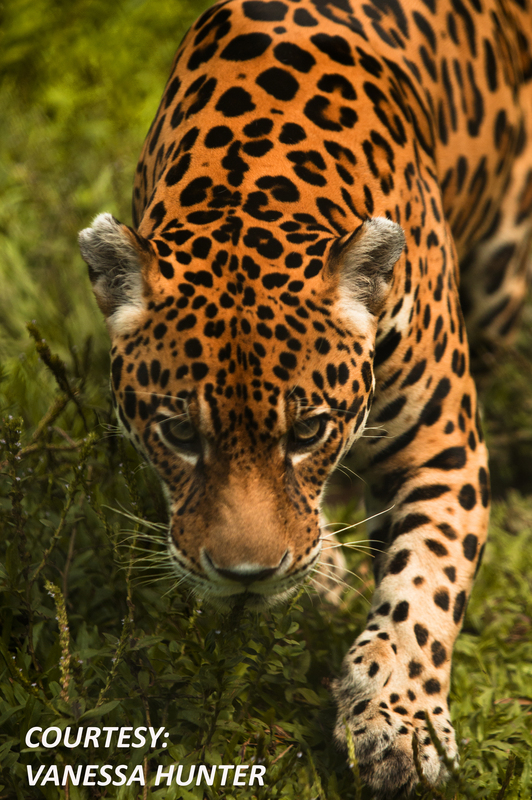 The long-term goal of the project is to identify and establish jaguar corridors where these animals can safely travel.